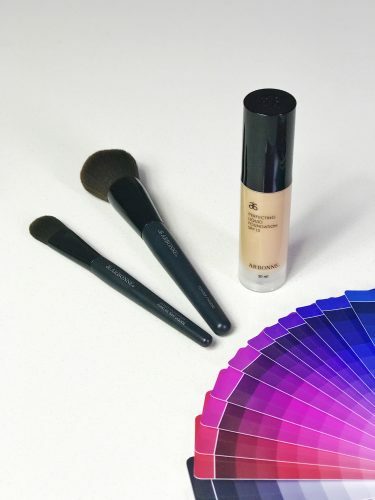 A colour analysis and a make up refresh is often enough to give you a great confidence boost. Perhaps you have been wearing the same shades and doing the same make up for many years. – Colour Analysis including a colour swatch. – Make up refresh including a “how to” face chart. – 6 months of vip access to ask your stylist any question about style, colour, wardrobe or make up. 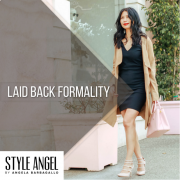 Takes place at Style Angel HQ in Miranda NSW or your home, a travel fee may apply. 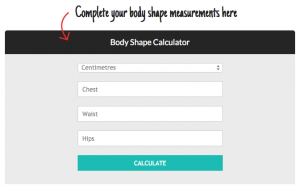 And for a limited time you will also receive an online style portfolio personalised to your body shape valued at $129. This session is also really fun in a small group up to 4 people. During this two hour colour session you will be draped with colour drapes and receive a colour swatch with 60 of your best colours. You will also receive a personalised colour portfolio filled with great information about how to wear colour and a durable pouch to store your colour swatch. We then complete your colour consultation with a body shape assessment, and you will receive your online Style Portfolio with hundreds of your best styles. Nothing better than bringing your new found colours into practice. You have the choice to do this session in the comfort of your home and have 90 minute of wardrobe styling after the colour analysis, or, we meet at one of the beautiful Personal Styling suites at Myer in Pitt Street Mall and we have a 90 minute personal shopping session. This experience comes with 6 months VIP access to your stylist for any colour, style or wardrobe questions. This colour and style session needs our pre-session preparation and you will receive a questionnaire via email that covers all relevant about your colours and style. If the session takes place at your home, your stylist will arrive with her hands full and needs about ten minutes to set up at your home. We usually borrow 2 of your chairs so you can sit comfortably in front of the colour mirror. A spot with the best natural light is preferable but we also have special lights as a plan B. Once we are ready to go, you will be draped with professional colour drapes that will determine your best colours. You will receive a colour swatch with 60 of your best colours, a durable pouch to store your swatch in as well as a personalised colour manual. This session also includes a body shape analysis which is done with over your clothes. And together we create your online Style Portfolio on your computer, laptop, iPad or smartphone where with the click of a button you have access to hundreds of styles suitable for your body shape. And or the remainder of this two hour session we delve into your wardrobe to discover where you have making great decisions and what is missing from your wardrobe. If the session takes place at the Myer Personal Suites we will add some colour t0 your wardrobe with a personal shopping experience. You will receive a comprehensive email of colour and style recommendations and additional notes from your session. And you will have access to your best styles for your body shape online 24/7. You will have six months VIP access to our team for any style, shape wardrobe or colour questions. Sessions are available Monday through to Saturday throughout all suburbs of Sydney, Wollongong, Central Coast and Newcastle (travel charges may apply). – Corporate Make up refresh including a “how to” face chart. Takes place at your work boardroom or home, travel fee may apply. A colour session done with multiple women at the same time is not only fun but also educational. You will learn from each others questions, compare notes and support each other. This colour consultation makes a great gift. We can tailor make any gift certificate to your budget and deliver it via email or mail depending on the urgency. The gift voucher includes a comprehensive overview what they can expect on the day as well as a 12 month window for them to book in for a session. 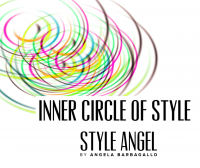 There are a number of Style Angel Personal Styling sessions that will compliment your Colour Consultation Session. A Wardrobe Styling is a really powerful way to start so we know the Gaps and where you what Style direction you would like to move your wardrobe to. A Personal Styling Session is a fantastic way to learn how to look for your best colour and styles with the help of an experienced stylist. Make Up Lesson. A great way to learn one-on-one how you can apply your make up best, what colours to use and and what tools to use. “Going through my colour portfolio with Angela was fun and educational. I learnt about my body shape and what clothes would suit me best, and more importantly, what clothes to avoid. Going through the colours was a real eye opener and I am looking forward to adding these to my current black & white wardrobe. This has made me think about my current wardrobe, and how I can improve on this to make sure I am wearing clothes to suit me, both style and colour.